Have you ever heard the expression ‘another day another dollar’?? Well it lives true to its word only with the lack of business in the early days after the Christmas and New Year ‘splurge’ there are no ‘dollars’ to be made in this industry! !Why not?? A good question!! 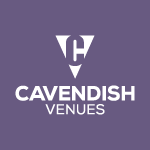 This is a note to all you aspiring clients of the conference industry ‘ we will give you very substantial discounts to come and do events in any one of our 3 Centre’s’!! We need the company at this time of the year! !It really is dreadful to be so quiet!